Have you ever calculated how much you spend a year on your dog? I haven’t because I’m not sure I really want to know. By just guesstimating the cost of food, vet bills, medications, supplements, toys, and other supplies—it’s a lot! Haley’s worth every penny we spend on her, but it sure is nice when we can save a few dollars here and there. 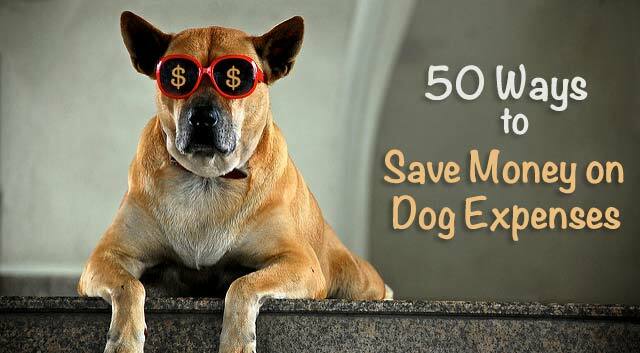 Here’s how you can save money on dog expenses too! Find your pup at a local shelter or rescue and you’ll save a lot of money and usually the spay/neuter expense and some vaccinations are included in the adoption fee too. If you’re looking for a pure-bred dog, check for a breed-specific rescue in your area. 2. Don’t skimp on food. Cheap, low-quality food offers little nutritional value and it will cost you more in the end with related health issues and higher vet bills. Bonus! Dogs will normally eat less (and poop less) when fed a high-quality food. 3. Avoid buying food and treats in grocery stores. Prices in grocery stores are usually higher while quality and selection are generally lower. You’ll get better deals at your local pet store, livestock, or feed store and they often carry better brands of food. 4. Higher prices don’t always equal higher quality. Don’t assume expensive brands are always better or more nutritious. Take the time to compare labels and ingredients. 5. Measure your dog’s food. The recommended feeding amounts listed on most packages of food are a little on the high side which can lead to overfeeding and an overweight dog. Measure your dog’s food and track their weight and appearance to find the appropriate daily serving size for your dog and their activity level. 6. Make your own homemade food. It may be cheaper to make your dog’s food yourself and you’ll know exactly what goes into it. Check with your vet or the BalanceIt website if you need some help in creating nutritional meals. Buy food in bigger bags or larger quantities and stockpile extra food when you find it on sale. You can even ask for larger discounts when buying in bulk and if your friends or family members use the same food, you can share the savings. 8. Take advantage of store promotions. Local stores usually have some type of loyalty card or frequent shopper program to help you save money. Also, take advantage of those in-store surveys and coupons that print at the bottom of your receipt. 9. Follow your favorite brands on social media. Lots of brands provide special offers, rebates and coupons on their Facebook or Twitter accounts. Most brands also provide the option to sign up for email offers from their website. 10. Order food and treats online. It’s often cheaper and more convenient to order your dog’s food online. You’ll save time and gasoline and often you’ll get free shipping too. I love Chewy.com for their low prices and amazing customer service! 11. Compare online prices and get extra savings. Check online prices through Google or sites like PriceGrabber or Shopzilla, then look for extra discounts or coupons codes on sites like PawDiet, RetailMeNot, Groupon, EBates, and coupons.com. 12. Choose the auto-ship option to save even more. Some online stores offer a 5-10 percent additional discount if you have your food automatically shipped when you need it. Bonus! You never have to worry about running out of food. 13. Buy and use discounted gift cards. Buy discounted, pet-related gift cards from sites like Raise or Cardpool. Better yet, get some money for those gift cards sitting in your wallet that you’ll probably never use. 14. Check online discount pet stores for bargains. Websites like Doggyloot.com and Coupaw.com offer treats and other pet items for bargain hunters. 15. Make your own treats. It’s easy to make homemade treats for your dog and most recipes require only a few ingredients you probably already have on hand. A food dehydrator is ideal for making jerky and treats that will last a long time. 16. Head to your local butcher shop. Ask your local butcher (or at your grocery store meat counter) for some raw, meaty bones. Knuckle bones are great or they’ll usually custom cut other bones for your pup too. They might charge a small fee but if you’re lucky, they’ll give you the bones for free. Quick reminder—never give your pup cooked bones or any small bones that might splinter or cause a choking hazard. 17. Divide and conquer costs. Cut or break large treats into smaller pieces. I promise, your dog won’t notice the difference and you’ll be saving money and calories! Yep! Most dogs are perfectly happy getting a few small pieces of kibble instead of more expensive treats. Okay, maybe you don’t like leftovers, but your dog will love getting some healthy, lean meat or veggies instead of packaged treats. Just make sure the food is safe for dogs to eat and it’s not spoiled. Don’t feed your pup junk food or high-calorie leftovers, stick to lean meats and vegetables. What’s better than free, right? Ask friends or inquire on social media to see if anyone has pet items they no longer need. Chances are, someone has a dog crate or baby gate they would be happy to give away. Freecycle and Craigslist are two other places to look for free items. 21. Buy quality items when it matters. Dollar store finds are good sometimes but buying cheap items over and over again because they break doesn’t really save money. It pays to invest in quality items, like collars and leashes, that are safer for your dog and will hold up longer. 22.Check eBay for great deals. eBay not only has great prices, but you can often find favorite toys or items that might be no longer available in stores. When buying your pup a new bed, make sure it has zippers and removable padding so it can be easily taken apart and washed. 24. Make your dog’s bed. Use some old blankets or quilts combined with pillows or old clothes for stuffing and you’ll end up with a bed that your dog will love more than the expensive versions found in stores. Bonus! Your dog will love having your scent on their new, custom crib. 25. Make your own custom car cover. You can easily make a car seat cover by customizing an old quilt with sewn-on straps or pieces of velcro. 26. Save money (and frustration) by housebreaking your pup early. Train your puppy as soon as possible so they’ll want to potty outside and you’ll save a ton of money on those puppy pee pads. 27. Get crafty with fashion trends. Not all dogs can be fashionistas but if you just love the look of those expensive accessories, but plain or inexpensive versions and customize them yourself. 28. There’s a purpose to repurpose. Instead of buying new or expensive pet items, repurpose household items you already have. Use ceramic or metal bowls for pet bowls or recycle grocery bags instead of buying poop bags. 29. Don’t pay too much for toys. Shop for dog toys at discount stores where prices are generally lower than prices at pet stores. When ordering toys online, check reviews to see if they’re good quality and durable. 31. Take your dog garage sale shopping. Community garage sales are a great opportunity to walk your dog and browse for bargains. I know some people that only buy stuffed animals from garage sales for their pups that like to shred toys. 32. Make your own puzzle toys. You get the idea. Take an old muffin tin, throw in some treats and cover them with tennis balls. Your dog will be thrilled! Get creative and try other homemade puzzles and games for your pup. 33. What’s old is new again. Instead of throwing out toys when your dog gets bored with them, put them away for several months. Rotate the toys and your pooch will be happy to see those toys again later on. 34. Make toys out of things your dog loves. Simple items found around the house can bring your dog a lot of joy. They might like an empty water bottle with treats inside or a tennis ball stuffed into an old sock. Haley’s favorite pastime is ripping up cardboard boxes when a couple of treats are hidden inside. Here’s some more ideas! 35. An once of prevention can save a lot of money. Keeping your dog at a healthy weight, regular exercise, annual vet checks, preventative care, and parasite control methods can prevent major health issues and expenses later on. Brushing your dog’s teeth or even rubbing a little gauze or cloth along their gum line can help prevent expensive dental cleanings and even extend your dog’s life. 36. It’s time for a safety check. An easy way to avoid expensive emergency vet care is to dog proof your home and make sure you pup has a safe and secure yard. It’s common sense, but most accidents and poisonings can be easily avoided. 37. Keep an open dialog with your vet. Shop around for the best vet that works within your budget and be open to discussing any financial concerns about treatment options. If a large, unexpected expense occurs, most vets offer favorable financing options through CareCredit. 38. Evaluate pet insurance options carefully. Shop and compare pet insurance companies before purchasing or consider putting aside what you would pay in premiums into a special savings account for pet care expenses. There are also discounted care plans, like Pet Assure, that may be beneficial. 39. Vets give discounts too. If you have multiple pets, ask your vet if they’ll offer a discount on services. Some vets have discounted programs for vaccinations and dental cleanings during certain times of the year. My vet even offers a rewards card so I can earn points towards credit for future services. 40. Animal charities may offer discounted services. Check with the Humane Society, ASPCA or other local pet charities to inquire about free or discounted spaying/neutering and vaccination programs in your area. You can eliminate unnecessary expenses and trips to the vet by doing what you can yourself. I give Haley her monthly Adequan shots at home and I can save $25.00 each time Haley gets a vaccination by giving her two Benadryl tablets before her appointment, rather than her getting an injection for allergic reactions in the vet’s office. 42. Save on prescription medications. Compare the cost of buying your dog’s medications from your vet with prices from online pharmacies and local stores like Kroger or Costco. Some drug companies have discounts or loyalty programs that offer savings on the drugs themselves or credits that can be applied towards services at your vet’s office. 43. Do you really need those expensive pill pockets? Why not try hiding the pills in other food or make your own pill pockets at home. 44. Check for generic medications. There may be generic drug options available for your pet’s medications and they’ll likely be cheaper. Also ask your vet about generic flea and tick prevention products. 45. Save money on grooming. Stretch out the time between grooming appointments by using a dry shampoo or pet wipes to freshen up your pup. Save even more by giving baths, trims and toenail maintenance at home. If you need a bigger or more convenient space for giving baths, try a self-service pet wash station. 46. Take advantage of free dog training options. 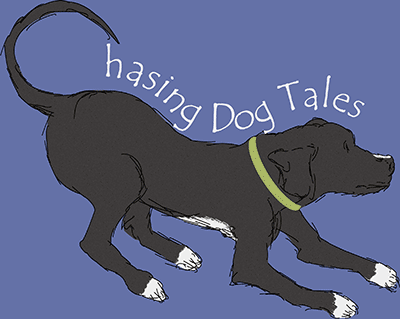 You can learn a lot about positive reinforcement dog training by visiting blogs, getting books from the library or watching YouTube videos online—all for free! Instead of paying a professional dog walker, walk your dog yourself or even offer to walk a few of your neighbor’s dogs too for some extra cash. If that’s not a option for you, perhaps a neighbor could walk your dog in exchange for another service you can offer them. 48. Trade doggie daycare for play dates. Give up the doggie daycare expense in favor of getting together with friends who also have dogs or visit your local dog park. 49. Are you bored with boarding options? Boarding your dog at a kennel can be expensive and not that much fun for your dog either. Ask a family member if they would be wiling to pet sit your pup or perhaps a neighbor would be willing to take care of your dog and you could do the same for them when they’re away. 50. Hire someone to take care of your dog. Paying a friend, family member, neighbor or local pet sitter might still be a better and cheaper option than paying to have your pup boarded at a kennel. Bonus! Your dog gets to stay comfortably at home or with somebody they love. It’s always nice to save a few dollars here and there, but if you’re really struggling with expenses, be sure to contact your local Humane Society or other local pet charities to see what resources might be available to you. Our pups don’t have to eat up all of our disposable income but I’m sure I’ve overlooked some other ways to save money on dog expenses, so share your favorite frugal tips with us in the comment section below! A lot of these tips are good for kitties, too. We didn’t know about some of these websites. That is such a thorough list! Well done! Mom’s friend saves money on stuffed toys for his pup by purchasing them at Goodwill or other second-hand stores. Mom buys mine & doggie’s flea preventatives at 1-800-PetMeds, where they are cheaper & available in larger box counts than we can get at the vet. And coupons come with each order and the mail, too. Mew Mew! I would second what you said about vets offering discounts too and sometimes they can be flexible on prices if you just ask for a discount. And, always make sure every test and procedure they recommend is really worth it to you or necessary. Often, it’s not really all that necessary. So ask a lot of questions and explain if you have a budget you need to work around. Yes, it never hurts to ask and I agree about all the tests vets want to run these days. I always hate paying for stool and heartworm checks when Haley’s been on heartworm and anti-parasite meds since she was a puppy. I know they can maybe still get an infestation, but it gets expensive. Excellent list – I’m definitely sharing…. Great list–absolutely agree in investing in good food. It makes all the difference. I’d make one little change to #3. Don’t buy food and treats in the *pet food aisle* of the grocery store. I’ve saved mega bucks buying liverwurst and jerky as dog treats in the grocery store. Often, it is even cheaper than high quality treats from a reputable pet supply store. This is quite a comprehensive list! I’m impressed. There are a few things I haven’t thought of before, and I’m always looking for ways to cut down on expenses. Thanks! What a great idea to buy stuffed animals from garage sales for pups who like to shred them!! I never would have thought of that one. Haley and I missed going garage sale shopping this spring but we usually time a long walk on community garage sale day. We almost always find something we need along the way. Excellent suggestions, and thanks for the links to money saving pet websites. Searching for them myself would have been time-consuming. If you have small dogs but want to buy kibble in larger size bags, you might also want to consider going together with a few friends who buy the same brand of kibble and buy in bulk, then split up the bag between everyone. I keep my share in large Tupperware containers to keep the kibble fresh, and we take turns buying. Perfect! I still need to find someone that feeds the same food as Haley so we can go together and buy in bulk. I had never heard of some of these sites, there are some great resources here. You and me both, Jodi! I spend much more on Haley’s supplements than my own, haha! Thanks a bunch for very useful tips. In this long list most of the tips are useful. hard work on research. Great share. Wow… that’s helpful stuff. My favorite save is after the holiday season when turkey’s are almost free! I’ve managed to make meals for .50 a day because of it. I’ve recently learned how much more the weight of the same brand of dog food my wife and I feed our dogs costs at the grocery store versus other stores – it’s like ten bucks more! I didn’t expect the difference to be that drastic! The thing about better quality food being cheaper in the long run due to fewer vet visits/etc is true, but even if it wasn’t… Well, I don’t think you should get a dog if you can’t afford to buy them food that’s at least of reasonable quality (ie. made of some kind of meat). Getting a dog and then setting them up for obesity and health problems because you can only afford (or only choose to buy) corn-based food is extremely selfish. Dogs aren’t little robots that exist for your amusement, for Pete’s sake. They’re animals. Thank you for your great ideas. I like the #4 idea “higher prices don’t always equal higher quality”. It’s not only right for food but only for toys and other supplies too. Shop dog, pet supplies without paying full price. Use coupon code for your favorite pet store from https://www.clipacode.com at checkout. useful list of tips. Thanks for sharing. 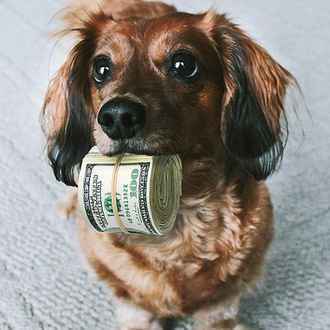 Very well researched and insightful post on how to Save money on dog expenses. Thanks for sharing the tips and helpful websites! This is called a well-written article. Information is usefully for me.